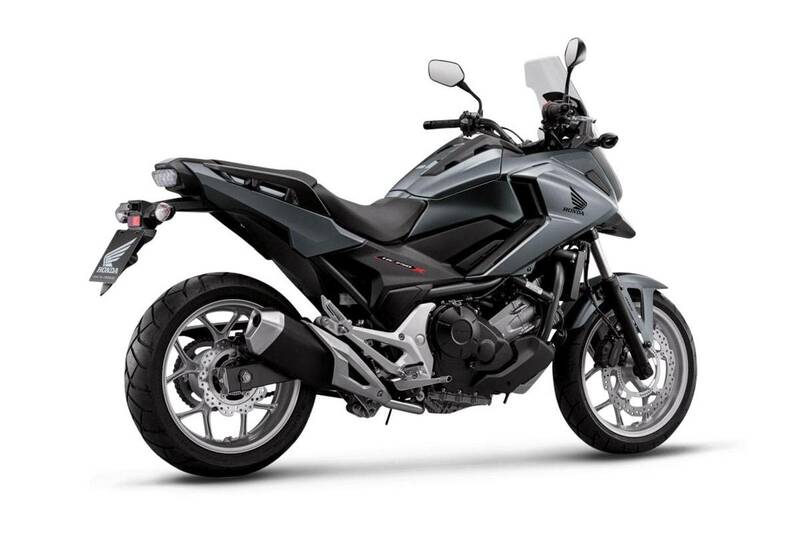 The NC750X has an adventure-oriented edge, with comfort for rider and pillion. A large windscreen gives great wind protection and there's plenty of room in the storage compartment positioned where the fuel tank is normally situated, which also has a utility rail built onto its lid. The LED headlight and taillight add class and the instruments - with variable colour display - can be personalised and present a premium image to the rider. The rear shock absorber features a spring preload adjustment system while Showa front forks are fitted up front. The NC750X's 745cc twin cylinder engine puts out strong low-to-mid range torque, delivering strong acceleration from very low rpm and now features 2 Level Honda Selectable Torque Control (HSTC), which can also be turned off. The NC750X offers a 22-litre utility compartment that's big enough to hold most full-face helmets and then some. Safe, secure and convenient, you'll use it every time you ride. Candy Chromosphere Red and Matte Pearl Glare White.